Verify that the area codes for your customer telephone numbers are valid. Speed-to-market and information accuracy are critical to your telemarketing campaign’s success. The UpdateYourList.com DIY Portal allows you to instantly search all of our telephone number databases to verify you have the correct area code for your customer telephone numbers. 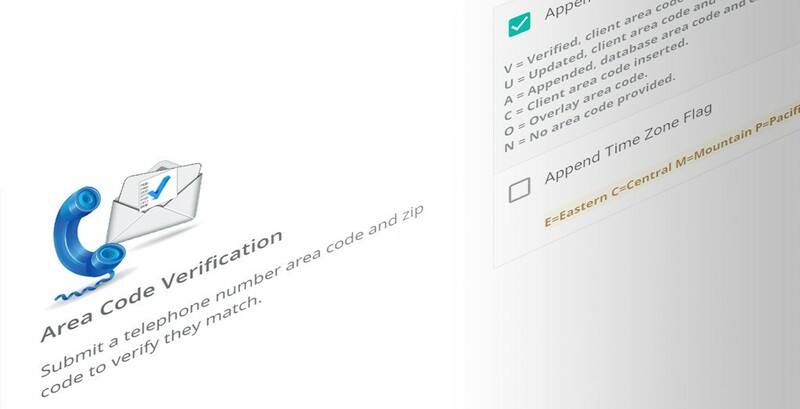 If the area code is not valid, the portal can append the new area code, as well as an action code indicating the reason for the area code change.